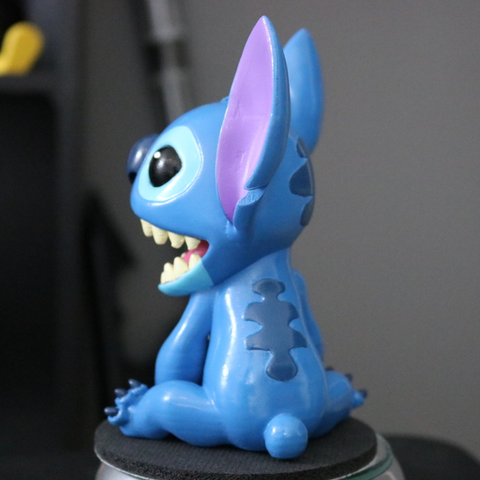 Today we're bringing you a 3D printed Stitch from the Disney movie Lilo and Stitch. 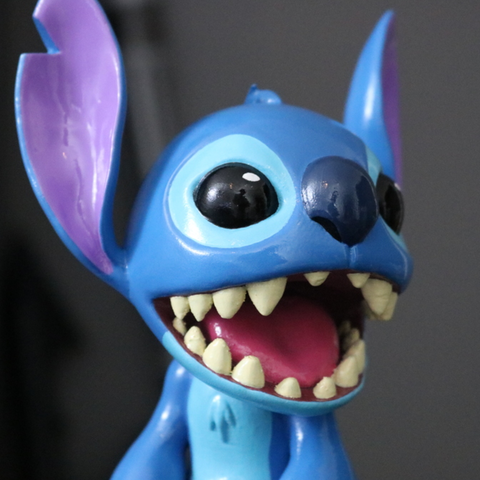 Stitch is such an iconic character, and it was really fun to make into a full figure. 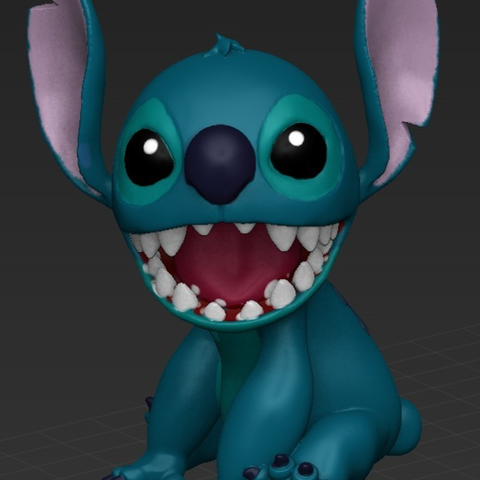 I modeled the whole thing in ZBrush in one sitting. It took about 6 hours from start to finish. I mostly used Dynamesh and just move things around until I get them looking right. 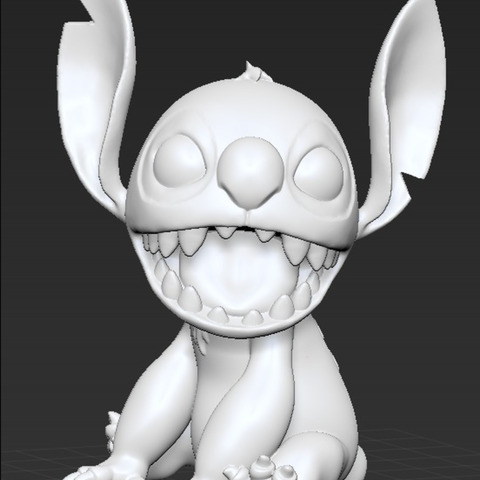 Then I exported the model and cut off the bottom with Meshmixer so it would sit on the bed and print a bit easier. I've included both the cut off model and the full model just in case someone wants to print it in a different orientation. 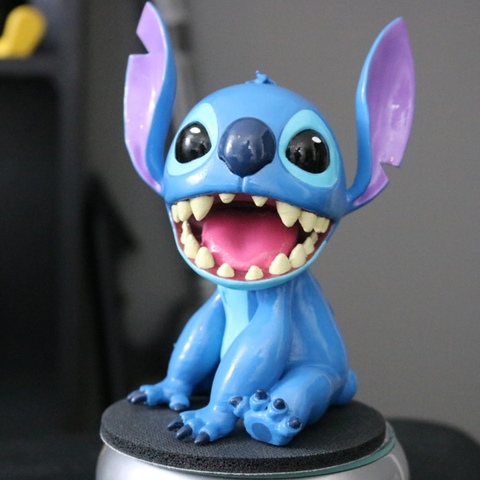 I printed it on the CR10 at a 0.5mm layer height. It came out really good on top and really bad on the bottom. Chelsey had to file and sand the crap out of it to smooth out the rough areas, and there were actually a few areas towards the bottom that she had to use putty to basically resculpt the geometry to make it look right. But she did an amazing job. After that she primed it with filler primer, used an airbrush to paint on the main blue, then filled in all the details with acrylic paints and a paint brush. Then after the whole thing was dry she sprayed a glossy clear coat on it. je m'appel julien Paque et je suis actuellement en 4eme année d'école d'ingénieur. Dans le cadre de mon cursus et d'un projet, mon ami et moi développons un site internet afin de vendre des objets 3D. Nous aimerions et espérons obtenir votre autorisation afin d'utiliser vos fichiers 3D pour nous permettre de développer notre projet. (Hello, my name is Julien Paque and I studying in engineering school near lille. 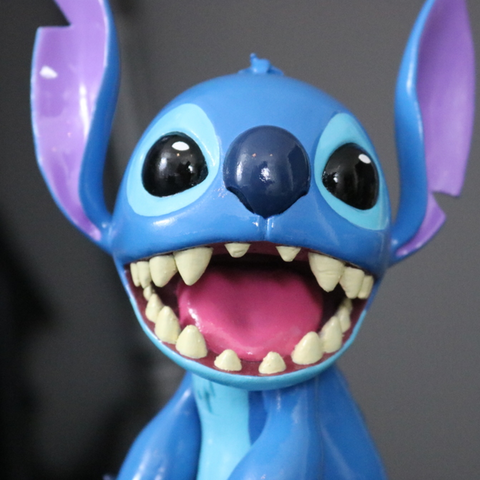 For my study, my workmate and me have a project to develop a web site to sell 3D objects. We would like and hope to obtain your authorization to use your 3D files to allow us to develop our project. We thank you in advance, while waiting for your answer.